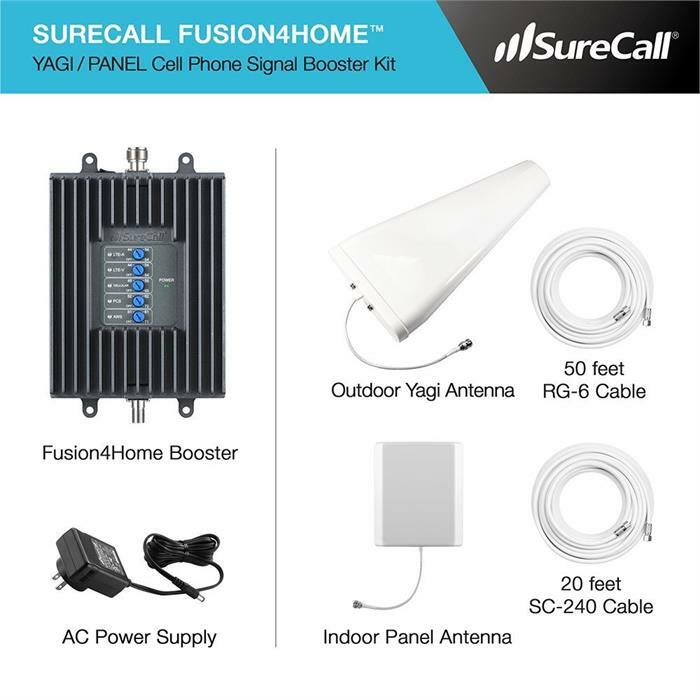 SureCall Fusion4Home cell phone signal booster increases cellular signal strength for voice, text and 4G LTE data for all Canadian cell carriers. Dropped calls are history, as SureCall Fusion4Home provides clear and consistent coverage for all cellular devices in a home or office, up to 4,000 Sq Ft.
SureCall Fusion4Home comes with 3 year warranty. Not for use with any US cellular carriers. 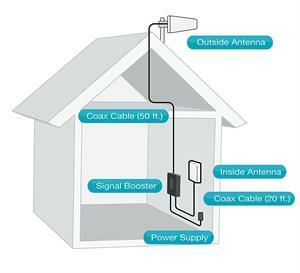 SC-PolyH-72-YP-CA-Kit includes 50 ft. of RG6 cable, outdoor Yagi antenna, indoor panel antenna with 20 ft. of SureCall 240 cable. 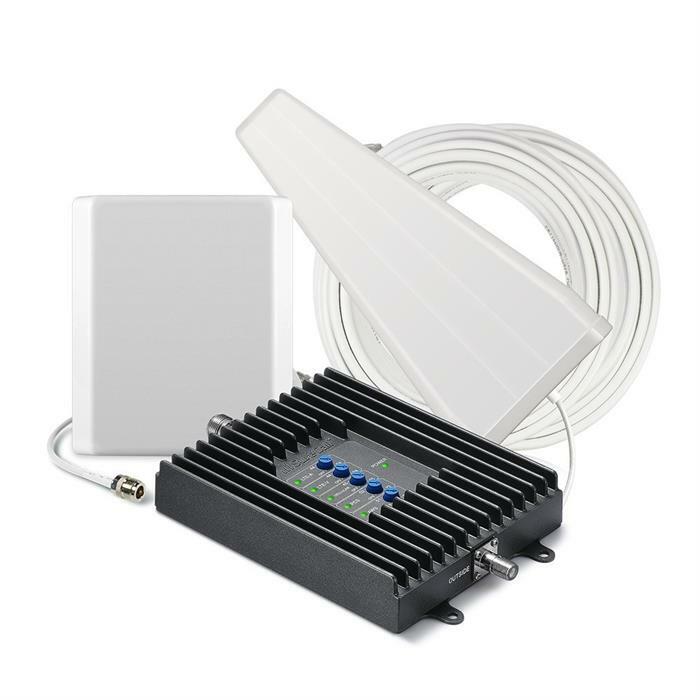 SureCall Fusion4Home SC-PolyH-72-YRA-Kit cell phone signal booster kit increases cellular coverage up to 3,000 sq. ft. for all carriers voice, text and 4G LTE data signals.